Welcome to the home page of (TAGDV) Tamil Association of Greater Delaware Valley, one of the oldest Tamil organisations in USA. TAGDV was founded in 1970 by Indian expatriates from Tamil Nadu, India and serves the geographical tri-state area around Philadelphia includes the South East PA, Southern New Jersey, and Delaware. 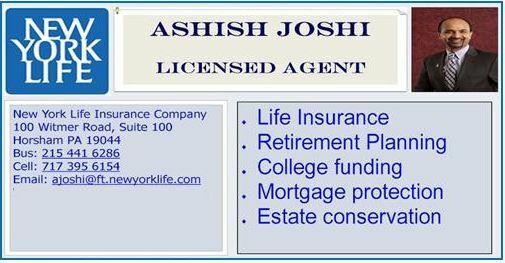 The Tamil Association of Greater Delaware Valley (TAGDV) is organized exclusively for charitable, religious, educational, and/or scientific purposes under section 501 (c)(3) of the Internal Revenue Code. 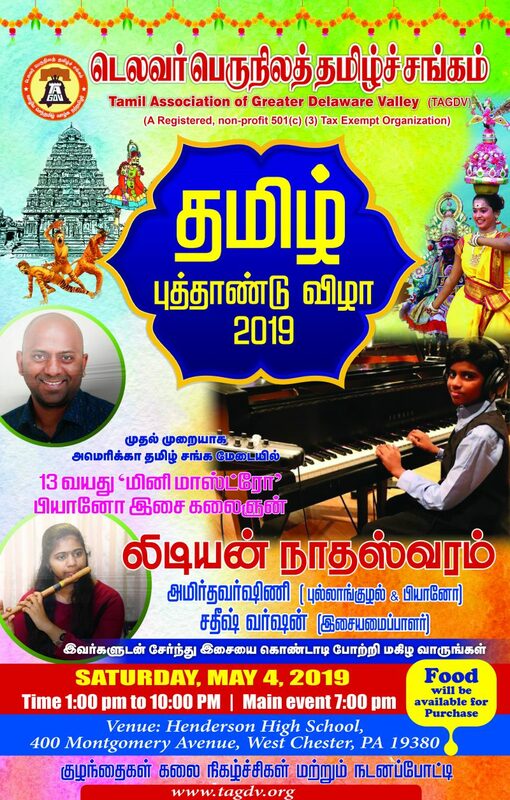 Click here for Tamil New Year 2019 tickets! It is a family-centric organization with the goal of preserving Tamil Culture and Language. Currently, we run 3 Tamil Schools (Exton, PA, Plymouth meeting, PA and Wilmington, DE) and are affiliated with the Tamil Virtual Academy based in Chennai. We intend to obtain Accreditation of Tamil as an official second language in American School System and biliteracy program in PA.
We celebrate Pongal (January), Tamil New Year (April) and Deepavali (October/November) with big events. We also have annual picnics and sports day. “Sangamam” magazine, is published twice a year to encourage interest towards Tamil literature and showcase members’ talents. We have initiated “TAGDV Cares”. Based on the Tamil tradition that is several millennia old – “யாதும் ஊரே, யாவரும் கேளிர்” – TAGDV Cares aims to help equip every TAGDV member, to make the right decisions for themselves, their beloved families and the communities that sustain them.